An expressive and quite cool nose blends floral notes, discreet wood, spice hints and ripe black pinot and plum that seamlessly intermingle with rich, delicious and impressively concentrated big-bodied flavors that possess really lovely acid/fruit/tannin balance, all wrapped in a complex, serious and palate staining finish. The subtle influence of the stem tannins gives the very rich, indeed almost lush finish an appealing sense of lift. This displays excellent potential to develop over the next 10 to 15 years and it should last 30. The Wine Advocate - Sweetly perfumed with flowers and with black fruit candies that render a confectionary impression on the palate (and Sylvain Pitiot did not demur from my description: bonbon-like), the 2007 Clos de Tart manages to harmoniously integrate vanilla, caramel, and resin from new wood. Even more than in the corresponding 2008, fresh juiciness of cassis and black raspberry and a saliva-stimulating salinity lend this lift and enticement so that it doesnt become another too-familiar modern-day exercise in mere dark berry jam on a new oaken shingle. 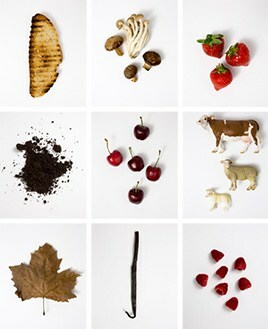 Sandalwood and black tea contribute further interest. Judgments will differ depending on the degree to which one is attracted by the style of this polished and persistent confection of Pinot Noir, but it certainly reflects what Pitiot describes as my intention and my taste (namely) always to harvest just before the limiting point of over-ripeness and excess is reached. I would anticipate this showcasing its virtues and Pitiots ideal over the next 7-10 years, and doubt that the 2008 will ever be able to compensate for its relatively less charm, seductiveness, or seamlessness. Burghound - An expressive and quite cool nose blends floral notes, discreet wood, spice hints and ripe black pinot and plum that seamlessly intermingle with rich, delicious and impressively concentrated big-bodied flavors that possess really lovely acid/fruit/tannin balance, all wrapped in a complex, serious and palate staining finish. The subtle influence of the stem tannins gives the very rich, indeed almost lush finish an appealing sense of lift. This displays excellent potential to develop over the next 10 to 15 years and it should last 30. The 7.5 hectares monopole Clos de Tart is situated just south of Morey-St-Denis and has remained intact since its creation in the 12th century. It was granted Grand Cru classification in 1939. When the Mommessins sold their négociant business to Jean-Claude Boisset they retained ownership of the Clos du Tart, which had been bought in 1932 from the Marey-Monge family. 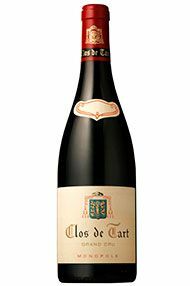 After a long period of producing competent but not always inspiring wines, Clos de Tart moved up a significant gear with the arrival of the hyper-meticulous Sylvain Pitiot in 1996. Nowadays they usually make a Grand Cru from the best plots and older vines, and a Premier Cru from younger vines. Monsieur Pitiot and his team are totally focused on producing sublime wine of thevery highest standard in the magnificent surroundings of this ancient property.The wines are matured in 100% new oak and are bottled unfiltered. They display a seductive perfumed nose and are harmonious, refined and complex on the palate. The vineyard is run more or less organically but without certification. With the help of Claude Bourguignon the different zones have been carefully mapped out according to soil types, and these are now picked separately and vinified apart in stainless steel tanks in the new cuvérie designed by Sylvain Pitiot in 1999. Yields are maintained well below the permitted maximum by diligent pruning and debudding, with green harvesting if necessary. Typically the harvest here is one of the latest in the region, as Sylvain likes to be sure of full phenolic ripeness. Until recently the grapes were destalked but not crushed, though there are currently ongoing experiments with various percentages of stems, cutting across the usual separation into cuvées designated by their soil types. Cuvaison usually lasts three weeks including a pre-maceration and further time in tank after fermentation with some cuvees being heated at the end to stabilise the colour and destroy unwelcome lactases. The wine is then run off into new barrels in the first year cellar on the ground floor, using Tronçais and Allier wood from a variety of coopers. After a year the wines move down to the lower cellar, being racked only if necessary. The final blend is only put together just before bottling, with some wine destined for the second label, Morey –St-Denis 1er Cru, La Forge du Tart, in most years. Morey is sometimes ignored between its two famous neighbours, Chambolle-Musigny and Gevrey-Chambertin, but its wines are of equal class, combining elegance and structure. Morey-St Denis, being that little bit less famous, can often provide excellent value. The four main Grand Cru vineyards continue in a line from those of Gevrey-Chambertin, with Clos St Denis and Clos de la Roche the most widely available. Clos des Lambrays (almost) and Clos de Tart (entirely) are monopolies of the domains which bear the same names. 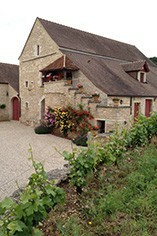 Domaine Dujac and Domaine Ponsot also make rare white wines in Morey-St Denis.